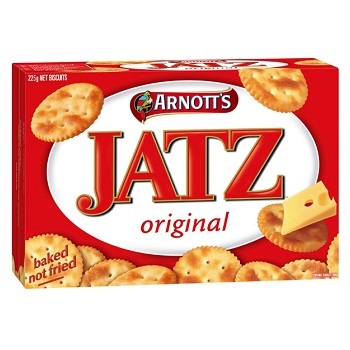 Arnott's Jatz are great for sharing at parties, around the office or just for general snacking. These round little crackers are baked and not fried, contain no artificial colours or flavours, no added MSG and are packaged in foil for freshness. Savoury biscuit crackers in a 225g pack. Did you know? Jatz were the first brand Arnott's advertised on TV in 1957. Price each - Order 20 to receive one carton. 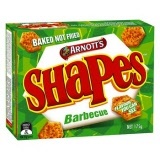 These savoury BBQ flavour shapes are great for any occasion and make an ideal snack. These delicious snacks are baked not fried, and have no artificial flavourings or preservatives and come foil wrapped for freshness. 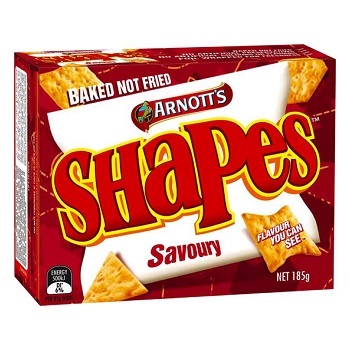 Savoury biscuit crackers in a 175g pack. Price each - Order 24 to receive one carton. 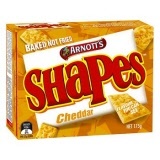 These savoury Cheddar flavour shapes are great for any occasion and make an ideal snack. 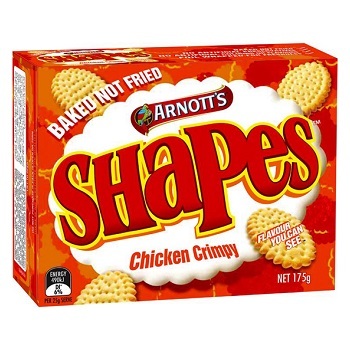 These savoury Chicken Crimpy flavour shapes are great for any occasion and make an ideal snack. 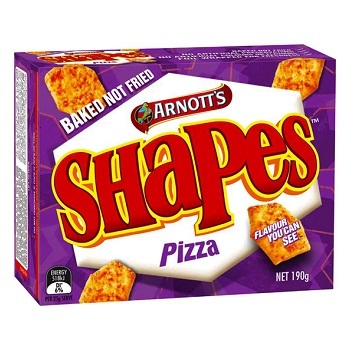 These savoury Pizza flavour shapes are great for any occasion and make an ideal snack. Savoury biscuit crackers in a 190g pack. These Savoury flavour shapes are great for any occasion and make an ideal snack. Savoury biscuit crackers in a 185g pack. 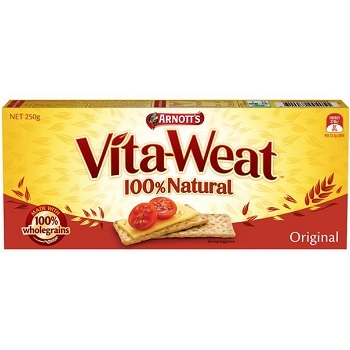 Arnott's Vita-Weat are 100% natural so you can feel good about what you're eating. 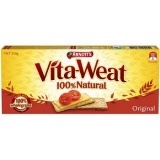 A great healthy snack and contains the goodness of 100% wholegrains. 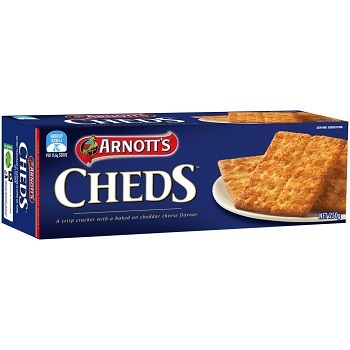 An ideal base for other foods to create a snack on the go. 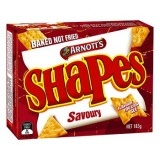 Savoury biscuit crackers in a 250g pack. 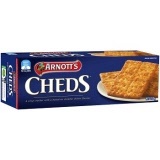 Crisp crackers with a baked on cheddar cheese flavour. These crackers have a liberal topping of parmesan and cheddar cheese sprinkled on top. Price each - Order 16 to receive one carton.